Branding your business is key to your success. 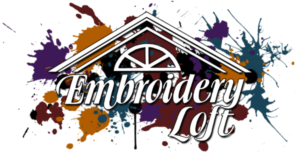 At Embroidery Loft we provide custom embroidered and screen printed sportswear and business attire to make your staff look professional while at trade shows or meeting with clients. We work primarily business to business and our customer service is second to none. Contact us for your apparel needs — large or small.